We all have our all-time favorites. But sometimes, we want to have something special, not run-of-the-mill kind of dishes but food that feeds the soul. And that’s what Anne Bistro wants to offer Bacolodnons–satisfying food for the palate, the heart, and the soul. And their dishes could also qualify for a magazine cover, so they are also a feast for the eyes. It is the kind of Bacolod restaurant where you want to dine, not just eat, and linger with good company over great food. 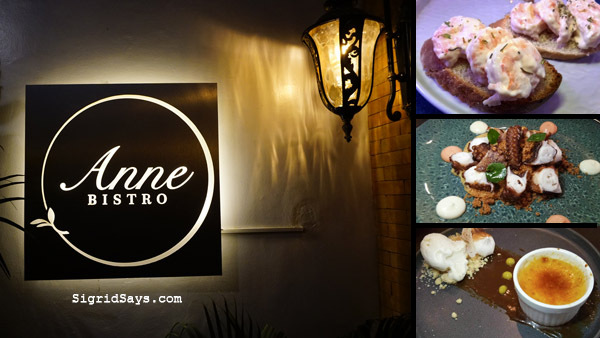 Anne Bistro — a fusion of the best of international cuisine in a Bacolod restaurant. 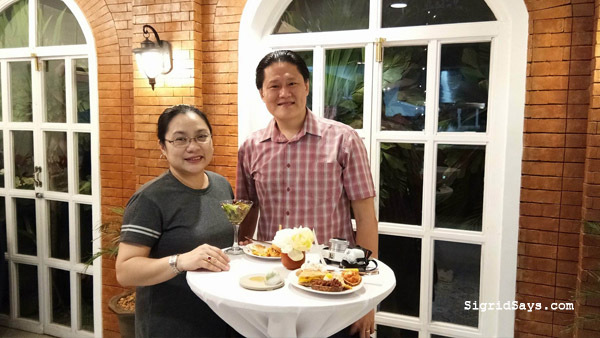 Owned and operated by Stephanie Varela and Chef Dan Altarejos, who is also the executive chef of Anne Bistro, this relatively new homegrown Bacolod restaurant serves fusion dishes. 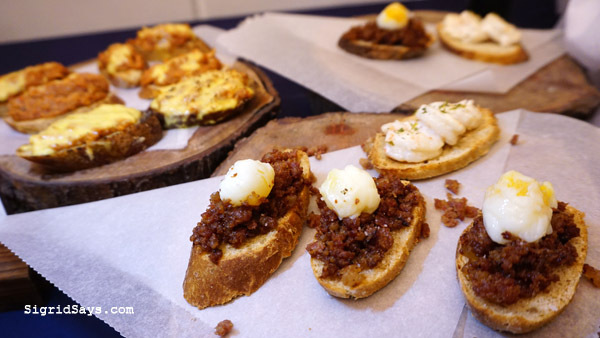 Assorted pintxos — Spanish appetizers at Anne Bistro. The menu was initially designed by Chef Dan and Stephanie, showcasing the specialties of the Chef as well as family recipes. The the staff also added some of their specialties. 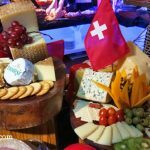 From my viewpoint, Anne Bistro is like a collage of international dishes, featuring some of the great recipes from other countries with some local inspiration. I would totally recommend the Bistro Salad to all vegetable lovers. This is a whole new salad experience. It is a mix of cooked, raw, and pickled vegetables, on a bed of tomato confit, and drizzled lightly with their house balsamic vinaigrette. 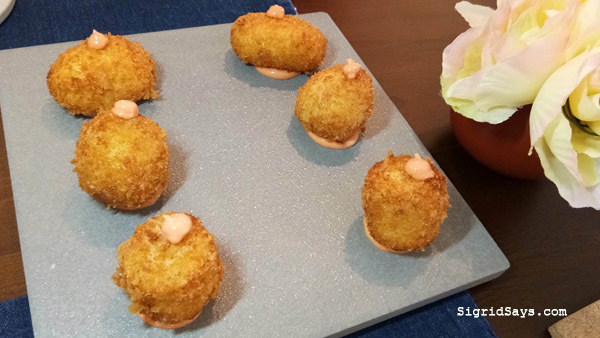 The chicken croquettas Caesar’s salad uses the traditional romaine lettuce dressed with house Caesar dressing and served with chicken croquettas. It is then topped with a poached egg. 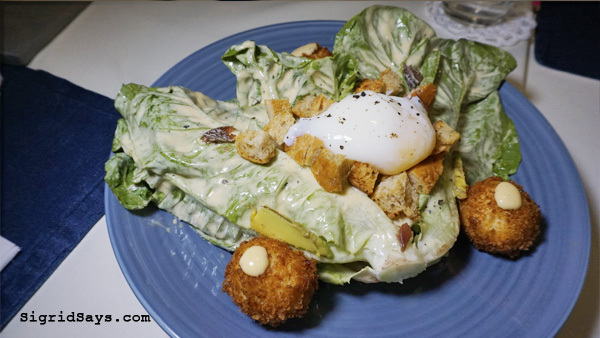 It is a fact that Anne Bistro is not your everyday Bacolod restaurant. The owners want to bring an international caliber dining experience to both local and international guests. Chef Dan also wants the restaurant to reflect his childhood. Chef Dan at work in the kitchen at Anne Bistro. 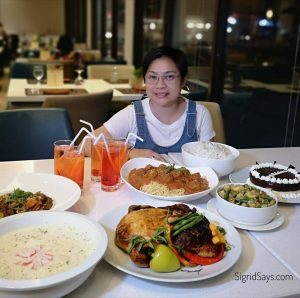 Stephanie says that they “aim to serve produce-driven cuisine to showcase the best seasonal ingredients from the Negros Region in their purest form and flavor.” They are looking forward for food enthusiasts of all ages to enjoy the offerings at Anne Bistro. Pulled pork something…that was the appetizer when I had lunch there. It’s on the house. “These guests are very open minded and perhaps well-traveled. They are appreciative of the complexity of how our food is being prepared. Our prices may be a bit over the normal but this is because everything we serve is fresh and handcrafted by our chefs daily. We also use the best quality ingredients and advanced culinary techniques. Pugita my love — Smoked octopus served with crispy paprika, sweet potato foam, and potato gratin (P350). The place where Anne Bistro is now situated was once a beautiful home owned by the Locsin family. The owners of the restaurant have now transformed it to a gorgeous Spanish-Victorian themed bistro. 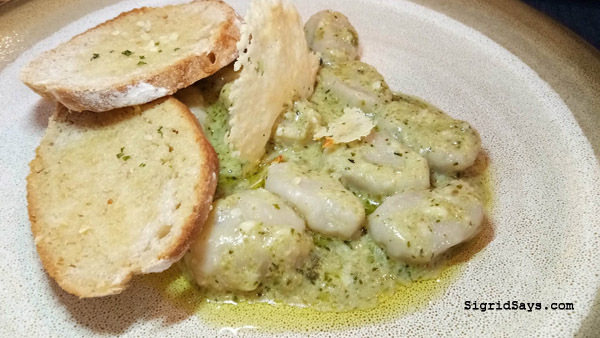 Freshly made pesto gnocchi (P295). When you enter the restaurant, one will first notice the beautiful bricks, moldings, and Spanish tiles. The arch windows and drape curtains give the bistro a more homey feel. It’s simple yet elegant with food that brings you lovely memories of your travels abroad, such as the Hainanese chicken rice from Singapore. 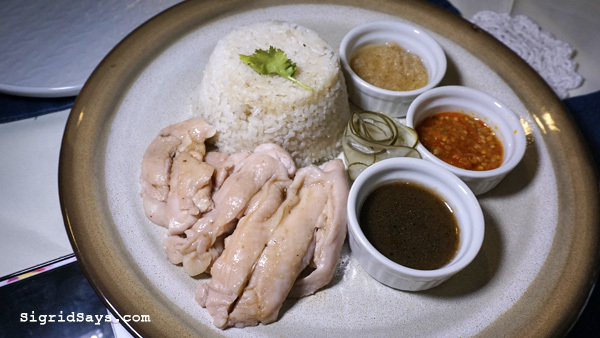 The Hainanese Chicken Rice is for the win! I have eaten a lot of chicken rice in Singapore and this one just brings back lovely memories of my short stay in this lovely country. 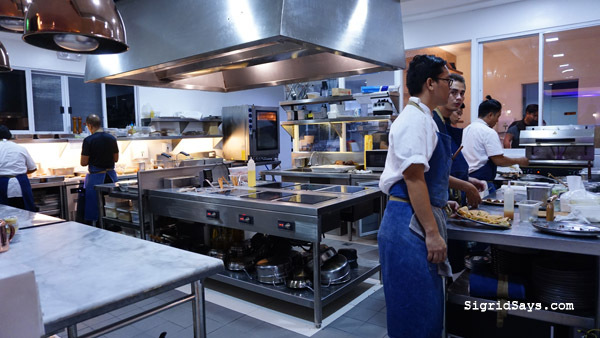 What separates Anne Bistro from other Bacolod restaurants is the show kitchen, which is perhaps the centerpiece of the entire place. The show kitchen gives the guests a full view of the chefs at work and their creations. 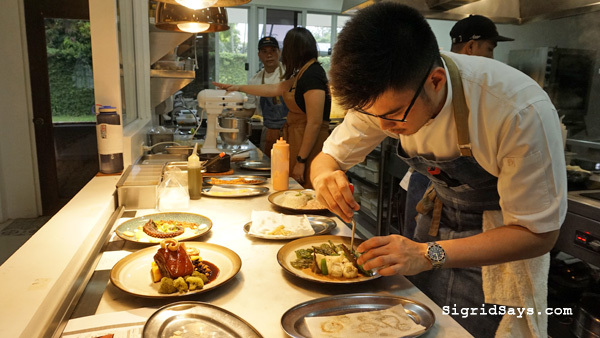 Diners can see how the chefs especially prepare each and every dish that comes out of the kitchen. It is part of the guests’ dining experience. The spacious and modern show kitchen at Anne Bistro. And boy, do they have a really nice, clean, and modern kitchen! The dishes served at Anne Bistro are freshly prepared on the spot after ordering. They produce their own breads, pasta, and sauces, which include their mayonnaise and salad dressings. They also cure their own ham, chorizo, and bacon. 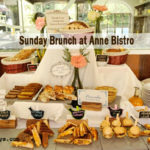 At Anne Bistro, they make sure that everything is fresh so their dishes have no preservatives nor artificial additives. 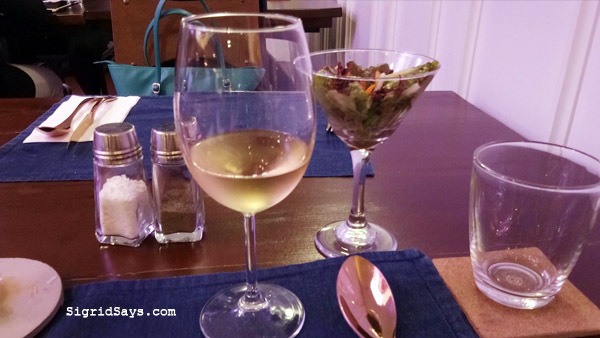 It’s nice to wine and dine at Anne Bistro. Anne Bistro has function rooms that can cater to meetings and small events. Later this year, they will be opening a speakeasy bar at the back of the bistro, which will focus on themed nights like acoustic nights, 80’s nights, and more. 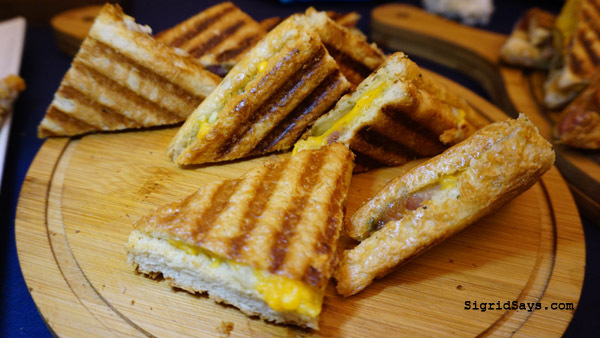 Anne Bistro also serves sandwiches, one of which is my favorite — the Cubano. As I have mentioned, Anne Bistro is not your everyday restaurant. Each dish is delicious, beautiful, and well-crafted, but some people might not find them very satisfying. They don’t have budget meals or native foods, so don’t go there for that. 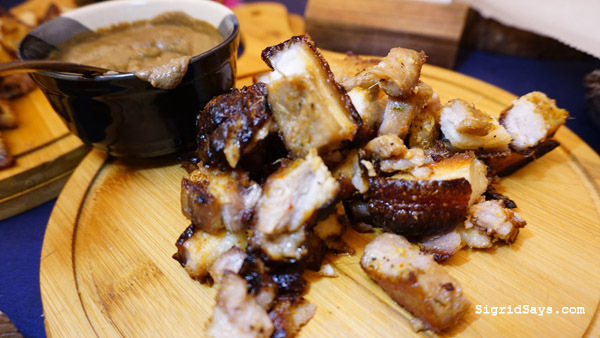 If you want Pinoy foods, check this list of Bacolod restaurants serving native foods. 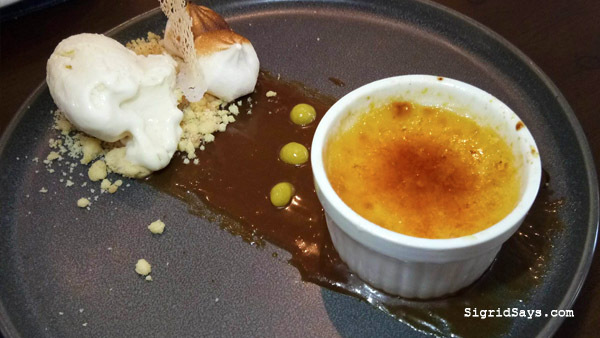 Creme Brulee (P165), a delicate French dessert, is served at Anne Bistro. 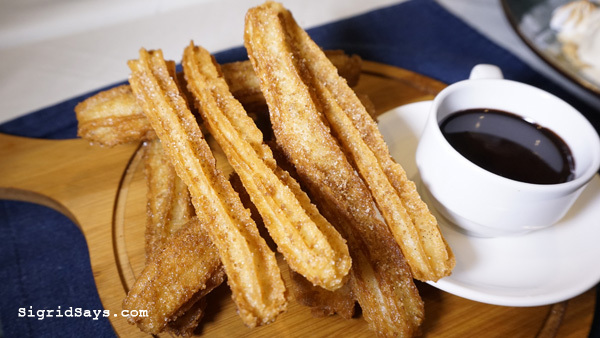 Perhaps the best churros I have ever had. But Anne Bistro is a caliber of its own. The first time I went there was with one of my closest girl friends and we both enjoyed the food and the experience. If you haven’t tried special chef-created dishes, then consider this as your learning experience. 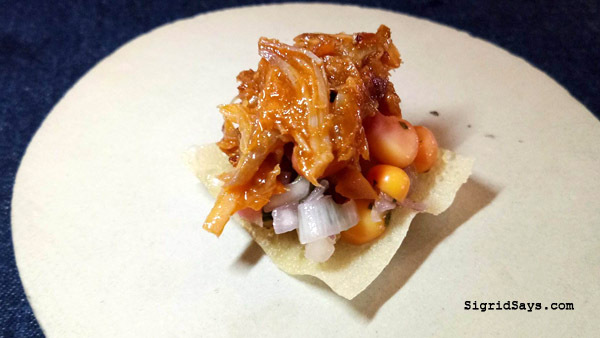 It’s not everyday that you will experience such kind of dishes that are a feast for the eyes and the palate. The humba, Anne Bistro style. A huge slab of pork, slow-cooked to tenderness and served with pickled broccoli, chicharon, young peanuts, and potato terrine for your carb. A totally different experience. Hubby and I during the cocktails for the grand opening of Anne Bistro. Your common turon in its naked glory. After trying this, you will not look at turon the same away again. 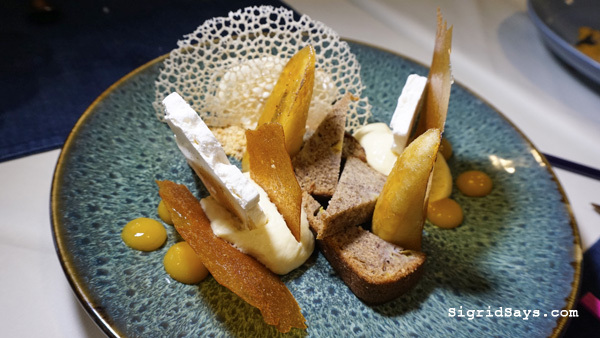 This is Chef Dan’s take on the classic Filipino merienda, made of banana bread, sous-vided and caramelized banana (sab-a), langka mousse, langka puree, langka chips, and served with vanilla ice cream on the side. Here’s a vlog on Anne Bistro by Lexplorations. Subscribe to Lexplorations on Youtube. 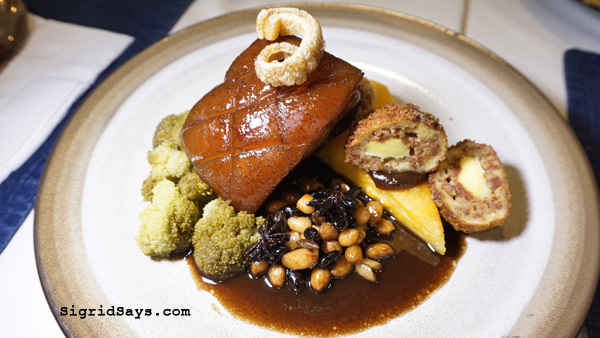 The food looks good… These food photos at Anne Bistro surely whet my appetite. Anne Bistro looks like a really lovely place to visit, with quality food and great service. I am glad to read you liked it so much! 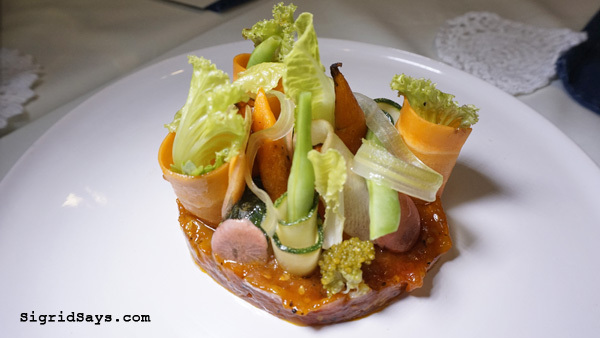 The food looks incredibly delicious at Anne Bistro and loved its presentation too! I’d love to visit there and try out all its yum delicacies! I wanna go back to Anne Bistro as well and try everything on their menu! I’ve got to say, you’ve totally convinced me on this. The next time I’m in the Philippines, I know where I’m headed! Bacolod City looks like it has a lot to offer in terms of food. Anne Bistro would be on the top of my list of Bacolod restaurants to try. Oh, my! How can someone resist this treat at Anne Bistro! The kitchen looks super clean and hygienic. 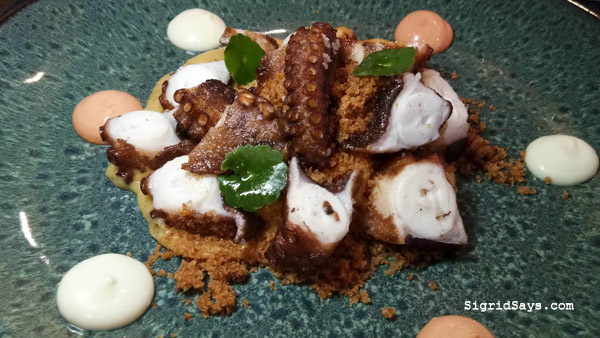 All dishes at Anne Bistro are mouthwatering beautiful except the Octopus one. Sorry about that but I am not the Octopus eater. For the rest, I love grilled sandwiches, croquetas, pinxtos and creme brulee. I would love to visit this restaurant in the future! All of the food photos looks soooooo delicious at Anne Bistro! I love that they incorporated a show kitchen too. It’s always entertaining to watch food being prepared. Anne Bistro is such a nice place to dine in, the ambiance is so good and very welcoming and all the food looks so delicious. Everything just made my mouth water! lol! Wow! 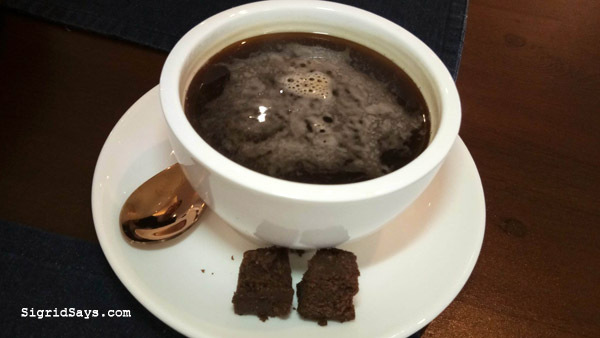 Presentation looks beautiful at Anne Bistro and even the coffee looks lovely! Aww! I miss eating Filipino food. I’m from Negros. I’m sure to checkout this new Bacolod restaurant someday as I’m planning for a vacation next year. So yummylicious, this Anne Bistro..naglalaway tuloy ako. Everything about Bacolod City looks amazing! I would love to experience their food and ambiance at Anne Bistro first-hand. 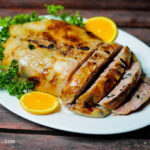 After reading your story, all I could think now is – I need some good red wine for these foods! 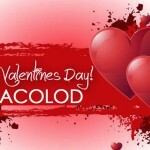 Thanks for sharing another reason to visit Bacolod! Anne Bistro is quite amazing! the menu of Anne Bistro indeed includes amazing international fusion specialities. the pictures are mouth watering. very well written post. This menu at Anne Bistro looks incredible! I could devour those croquetas right now, so delish!